It appears that genomes are not pictures of the status quo, but dynamic structures of possibility and change. Genomics has had a massive influence on discussions about evolution, so much so that it could almost alone testify to its veracity. What this data means for the interpretation of Genesis 1-3 is explosive. 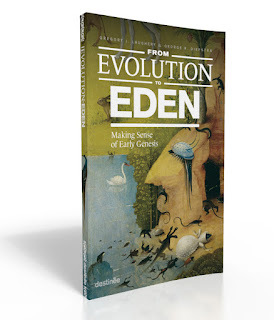 Check out From Evolution to Eden. Making Sense of Early Genesis.